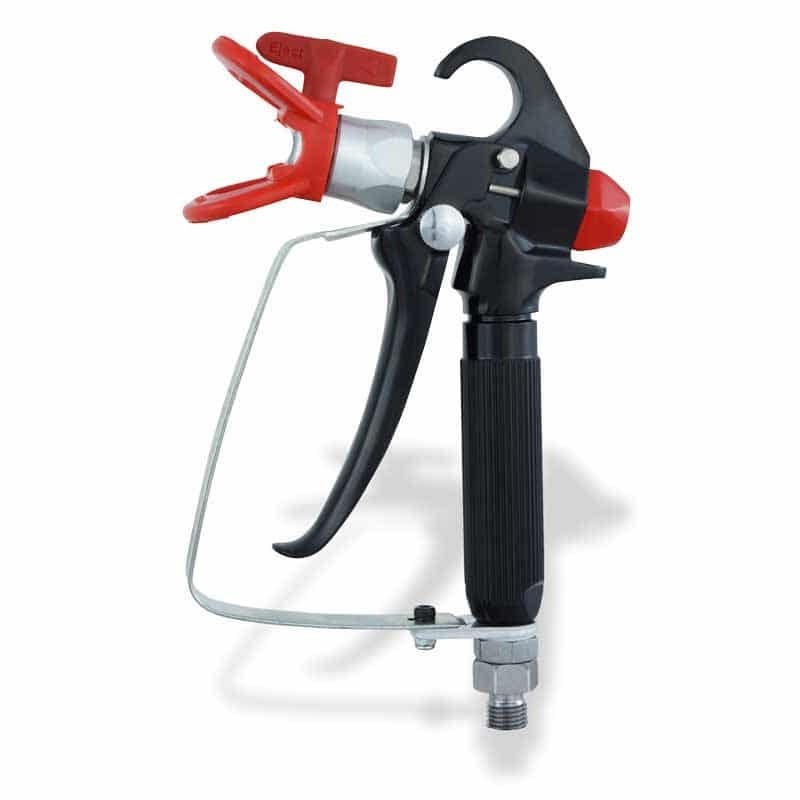 This airless paint gun has an in-handle mesh paint filter to reduce tip-clogs and improve finish application. It is well-balanced and lightweight with a full (4-finger) trigger that can lock open for flushing and cleaning. The ergonomic design and easy trigger pivot reduces operator fatigue.